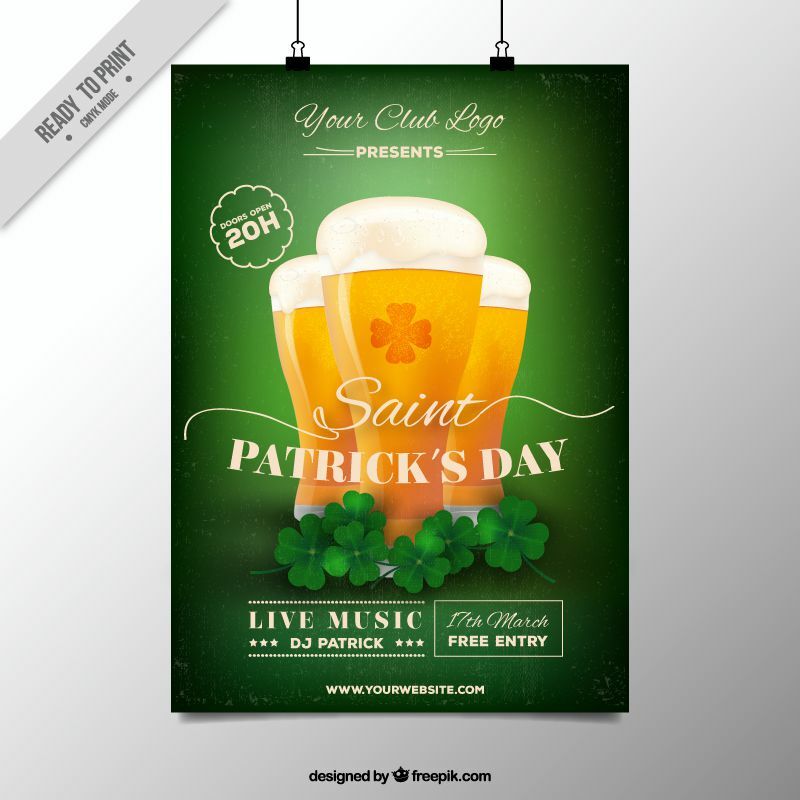 It will soon be St. Patrick’s Day again (16th of March), and you know what that means, it’s time to let loose and have some fun. Sensibly, of course. 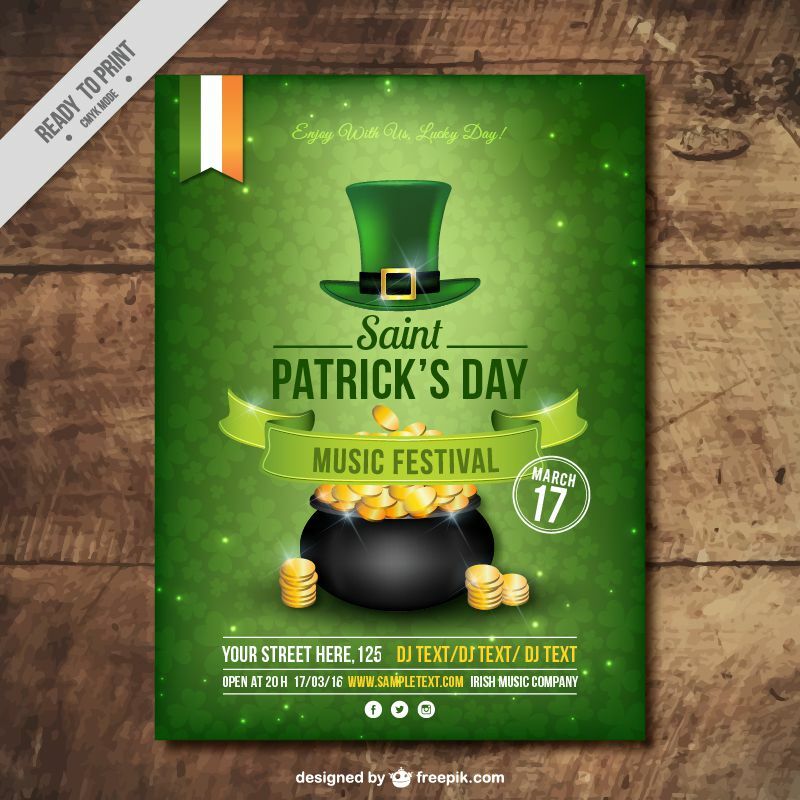 Whether Irish or not, St. Paddy’s Day is that one time of the year where everybody comes together dressed head-to-toe in green and white and wildly celebrates. 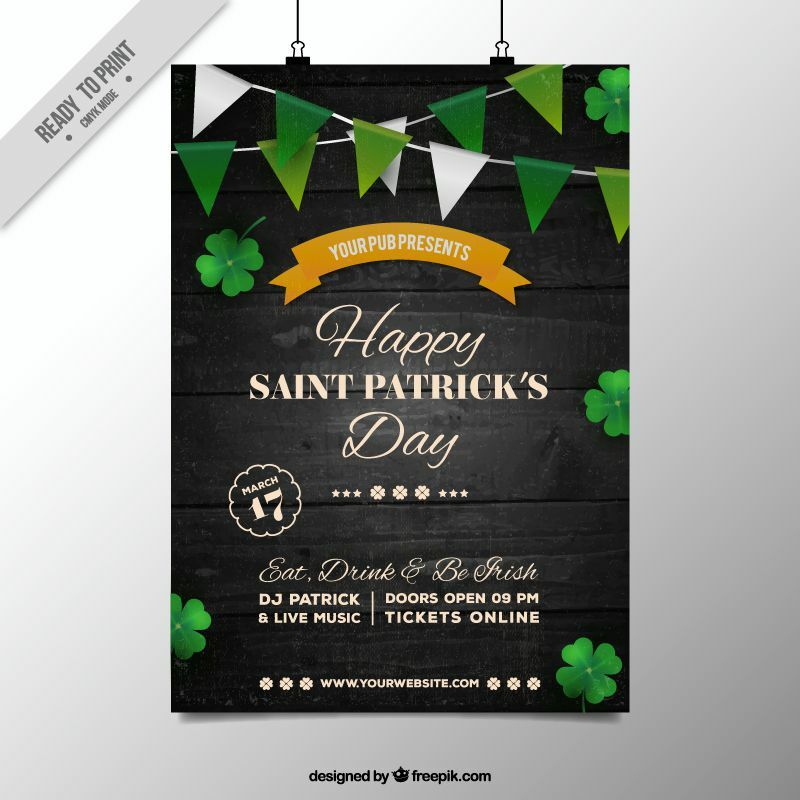 If you’re planning on having a St. Patrick’s Day party, or own a pub that’s looking to pull in more punters, we have a free template that has been designed specifically for you! 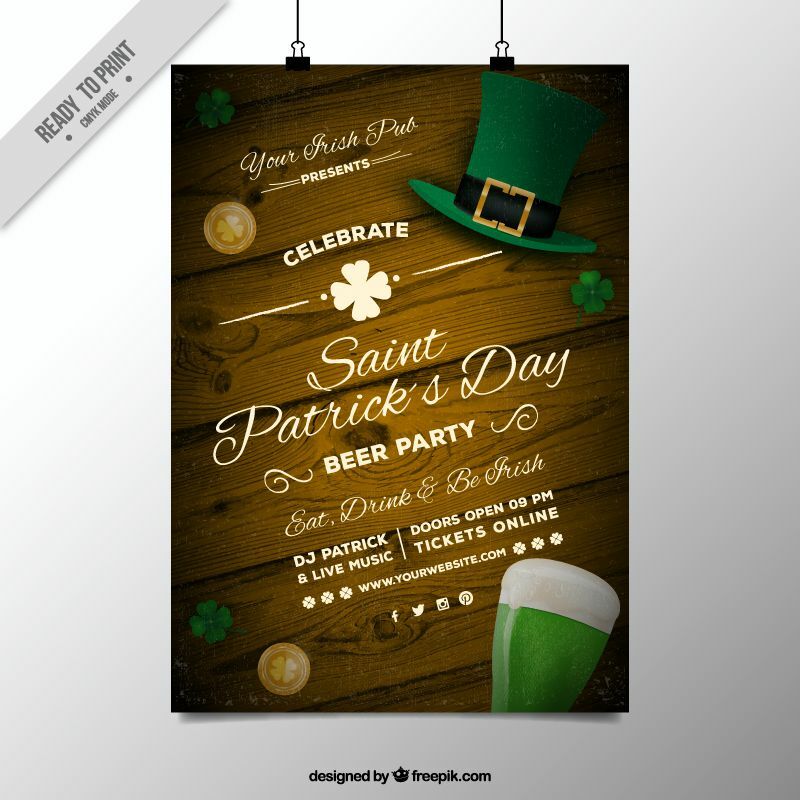 Created by our friends over at Freepik, we have five free flyer, poster or invitation templates to promote your own St. Paddy’s shindig. 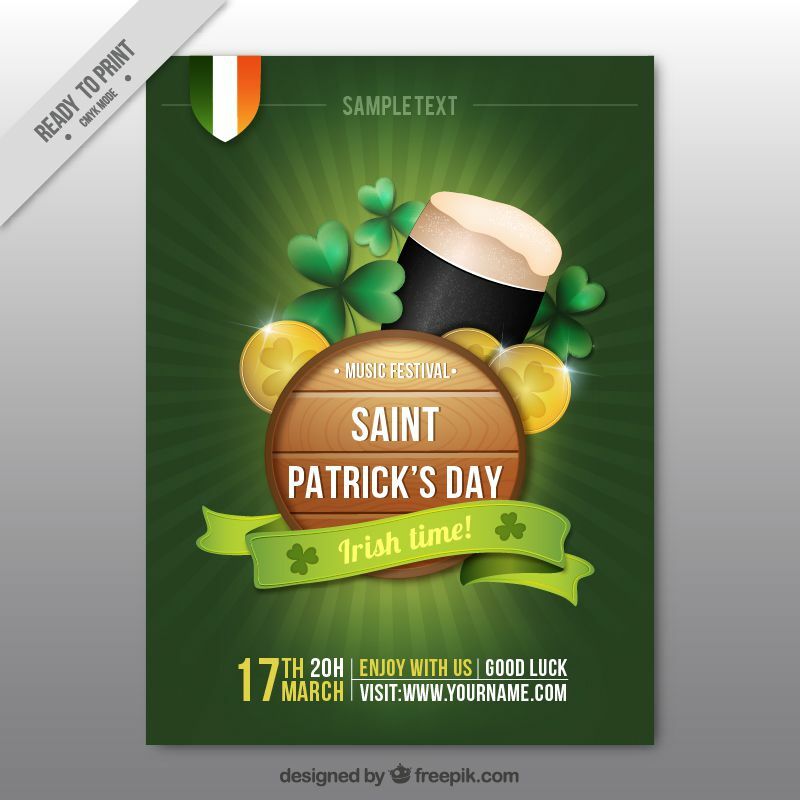 All of the templates are in both AI and EPS formats, and you are free to use them in both your commercial and personal projects.